Since 1961, Peter Antippa and his Father, Gregory Antippa have taken great pleasure in assisting their clients to grow. Some clients began as migrants, worked hard in their businesses and now enjoy the luxury of living from the earnings of commercial property investments. Gregory Antippa was admitted to practise law in 1961. 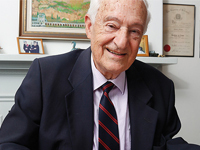 He was the 5th Greek lawyer to be admitted to practice law in Victoria. Gregory Antippa has degrees in both Law and Arts from Melbourne University and a diploma in American law from Chicago. He has over 50 years of experience, mainly in Commercial areas of law. These include advising shop traders, shopping centres, leases, buying / selling all types of businesses, obtaining various licences and permits to operate businesses and arranging finance. 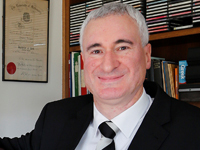 Peter Antippa was born in 1965 in Melbourne and has been practising law since 1993. At work, the aim is to develop the wealth of clients by assisting them to build a portfolio of quality investments either in their business or in property. It is exciting to be able to assist clients grow their businesses or investments. At home, Peter enjoys spending time with his Wife and two young daughters. As the girls are so young, their needs can be as challenging as law. He enjoys the time spent playing with them. Recently the Hellenic Australian Lawyers Association was formed by two senior legal practitioners to provide a “unifying force for Australian Lawyers”, as described by the Associations president Barrister Andrew Panna SC. Gregory Antippa was asked to attend the event, being the 5th Greek lawyer to be admitted to practice in Victoria.